BEST VISUAL ANGLE-Elevate your laptop and tablet at the best 16° angle for comfortable typing and watching. If you have any questions about this product by iQunix, contact us by completing and submitting the form below. If you are looking for a specif part number, please include it with your message. 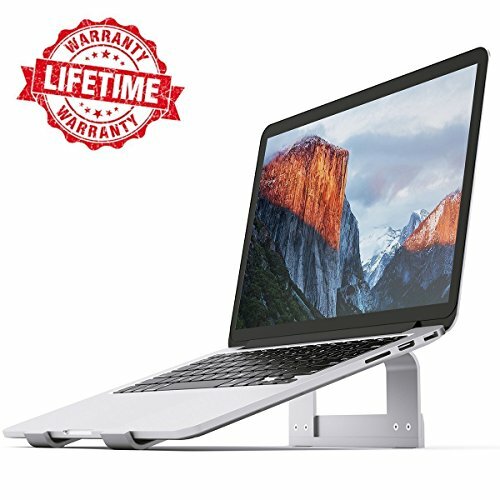 Pwr Laptop Table Stand Adjustable Riser: Portable with Mouse Pad Fully Ergonomic Mount Ultrabook Macbook Notebook Light Weight Aluminum Black Bed Tray Desk Book Fans Up to 17"